I like to dabble a bit in crochet, by no means am I at all accomplished but it's a lovely hobby that I enjoy to keep my hands busy when I'm not sewing. I have very talented yarn-artist friends who can crochet such amazing things from hats, scarfs, blankets and art...who stored their array of hooks in zip-lock bags and multiple annoying pouches. 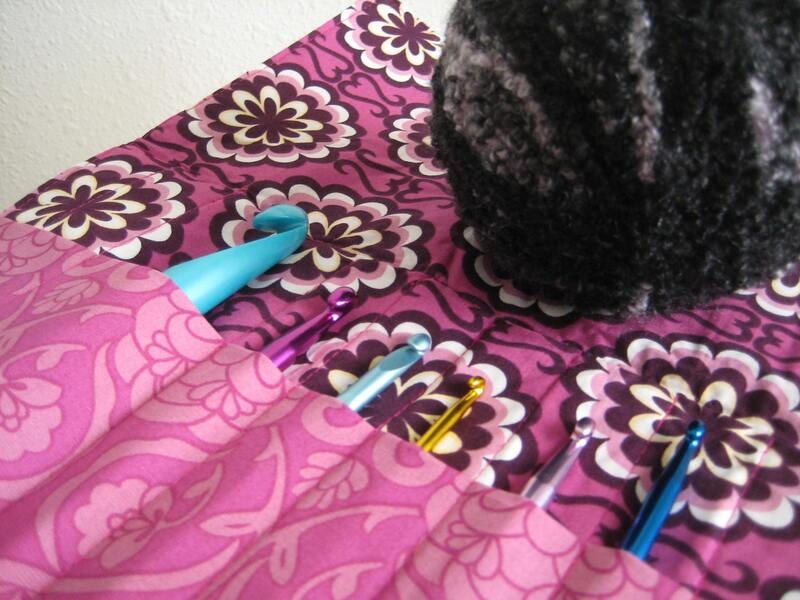 For them, I have designed this nifty crochet hook roll. I personally LOVE having all my hooks in one easy to find place inside my bag and it evens stores my scissors and needle. The easy step-by-step full color photo tutorial will have you whipping up your own crochet roll in less than an hour. 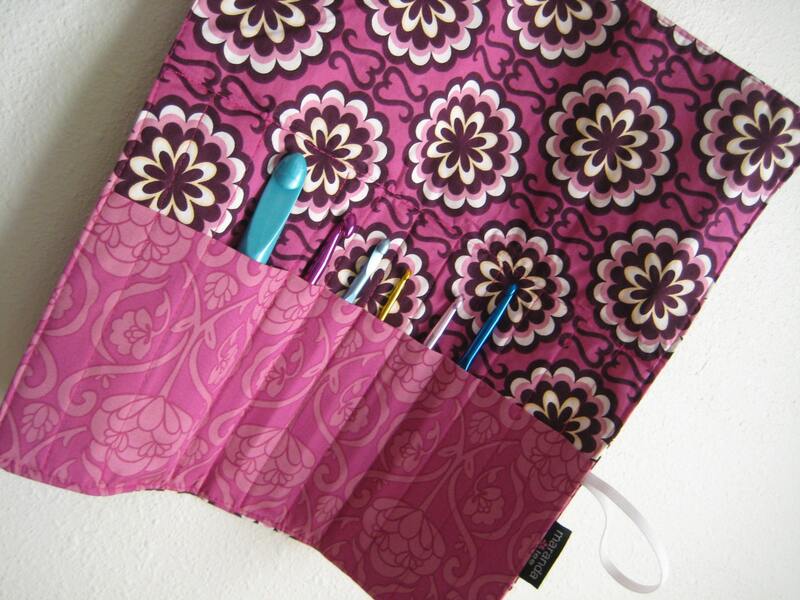 There are 10 hook slip pockets and 1 xl slip pocket perfect for those large hooks or your embroidery scissors. Secures easily with elastic loop. This listing is for a PDF pattern to be available for download after receipt of payment. Download provided via Etsy. Patterns are for personal use only and may not be reproduced for resale. Finished products may be resold by the home-crafter when including the following due credit in the listing : "Crochet Roll pattern by Maranda Lee www.marandalee.com" Thank you for respecting the time and creative energy in this publication.